Emma and I have admired American Girl dolls for quite some time now. Up until this recently we had only seen them in catalogs… that is until a trip to Chicago gave me a few minutes to swing by the store. That’s where I fell in love. Because Emma has never owned an American Girl doll, I decided that it would be best to start with one of the Bitty Babies. Although Emma is 6, I wanted to start with the smaller dolls to gauge her interest and how well she would take care of them. After spending quite a bit of time shopping the site I decided that a set of Bitty Twins would be a fun gift for both Emma & Ethan. Bitty Twins offer so many ways to mix and match! Choose skin tone, hair color, and gender to create your favorite pair. They come with full outfits, hair for styling, and a special book. Add to the fun with accessories and Dress Like Your Doll clothing. These 15-inch dolls are for ages 3 and up. 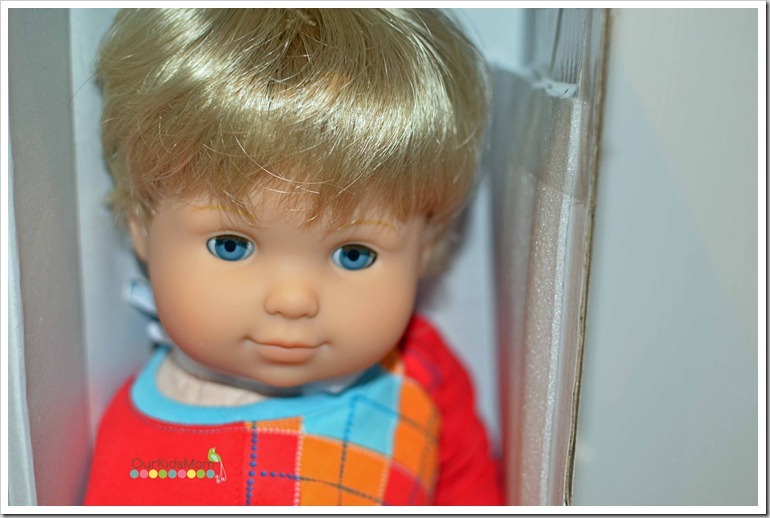 I was so excited to find a Bitty Twin that matched both Emma & Ethan in skin tone, eye color and hair color. 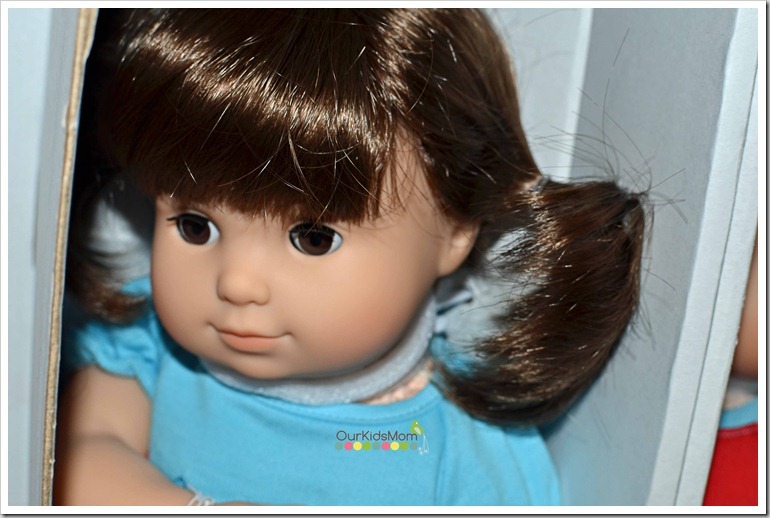 This doll is almost a spitting image of Emma. This little guy has so much allure, I wanted to snuggle him and pinch his cheeks! As I opened the box and removed the dolls I was immediately impressed with the detail that has been put into these babies. From the skin tone, lips, eyes, eye brows, hair style and accessories. I’ll be honest with you… I almost kept these babies for myself as a reminder of how my two looked at this age. I had visions of setting them up on display on my dresser. I fell in love with them and hoped that Emma & Ethan would love them, too. I wasn’t disappointed! Both the kids noticed right away that the Bitty Twins looked a lot like them. There was quite a bit of time spent snuggling, making them talk and Ethan even spent some time removing and putting his little guy’s clothes back on. With our extended Christmas break the kids have had more opportunity to play with their new babies. We’ve had tea parties on the floor, “shopping trips” in the grocery cart, lunch together at the kitchen table and there’s even been a few attempted abductions on Emma’s part as she realllllly wants custody of Ethan’s new bff. 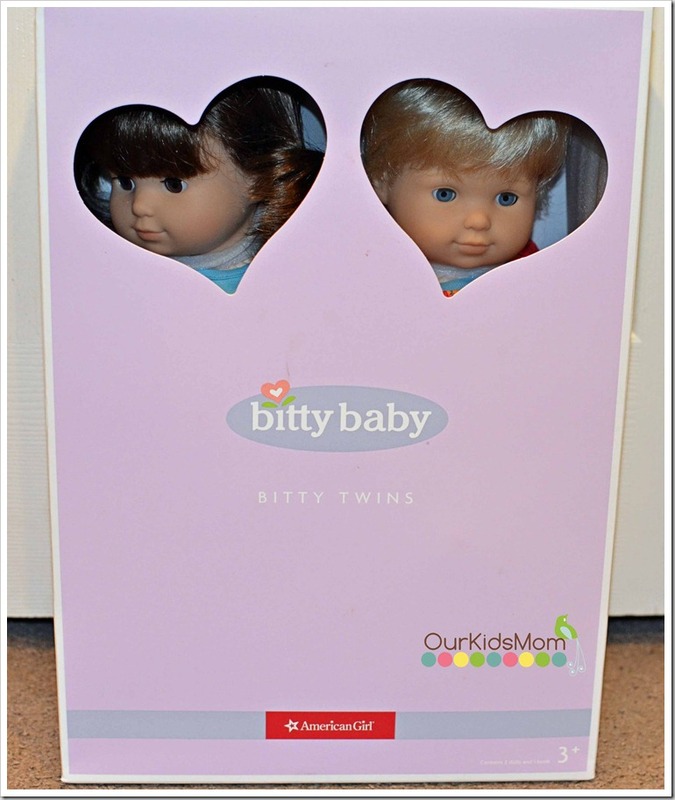 Bitty Twins are a nice step up from baby dolls, but not quite “big kid dolls”. I’m sure I’ve opened the gateway for Emma into the American Girl world but with the quality and workmanship American Girl puts into their products I am more than happy to indulge her on occasion. Now that she’s reading I’m excited to share the stories behind the dolls and read the books along with her. Just a question. The twins I have if you part their wig. You can slide it some. 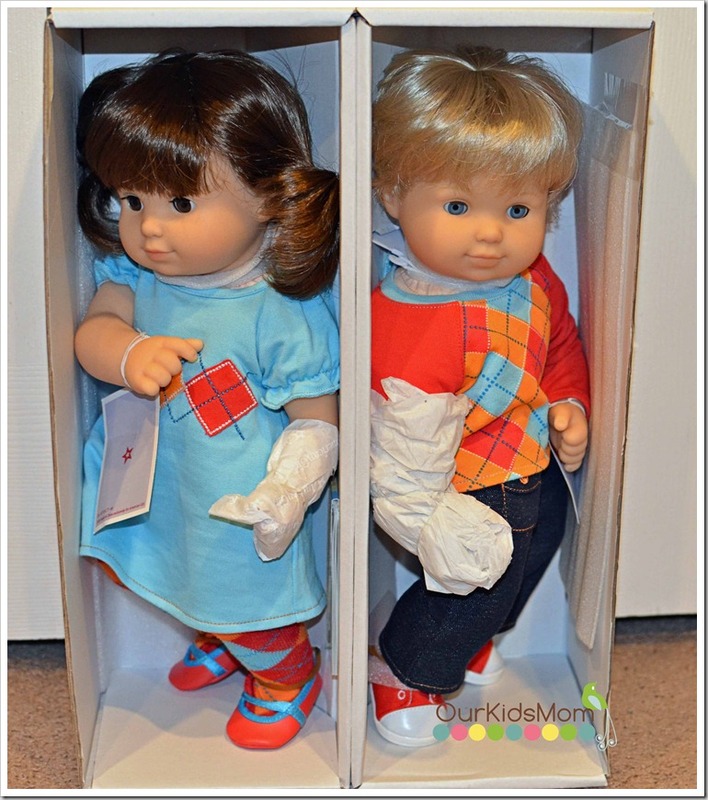 Mine are the older style twins, but it seems that unlike the 18″ dolls it isn’t quite as “glued on”. Or am I just totally crazy? OMGosh I had no idea they made these! This would be perfect for my Gracie. My hubby has been wanting to get her an American Girl Doll but I just don’t think she is ready yet… but these would be better. Thanks for the info. They are really cute too. OMGosh.. these are just darling! I love that you can choose hair, eye, and skin color .. they really do look like Emma and Ethan .. WOW! I’ve never seen these dolls before! They look awesome. Hope your kids will have fun with them! Those are Amazing! I love that they have a boy doll! How precious! I remember when American Girl first debuted and they carried just three dolls with three books – they’ve definitely come a long way! 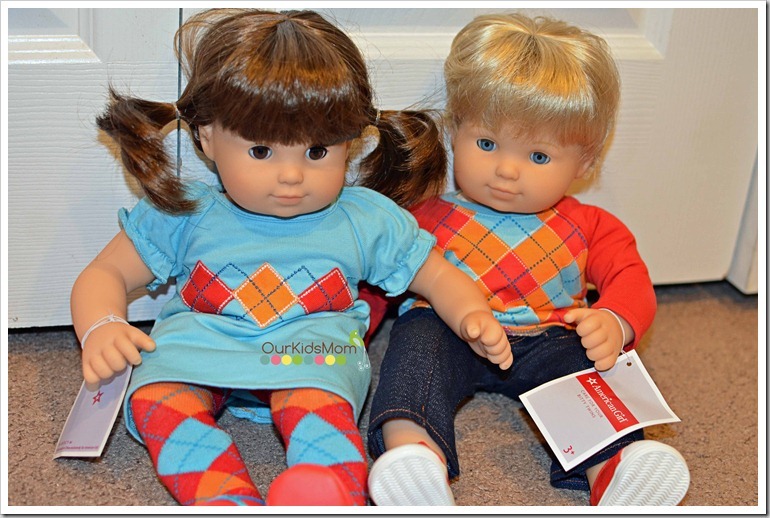 I think the American Girl dolls are so adorable. I didn’t know they made the smaller ones.. And by looking at the pictures all i can say is “wow”!! They look so much like your kids it’s crazy!!!! They are so very cute!! I got the Bitty Baby when I was little and still have it. I LOVE these Bitty Twins, though! My girls would be thrilled, and I love to see such a quality *boy* doll. Those seem hard to find! 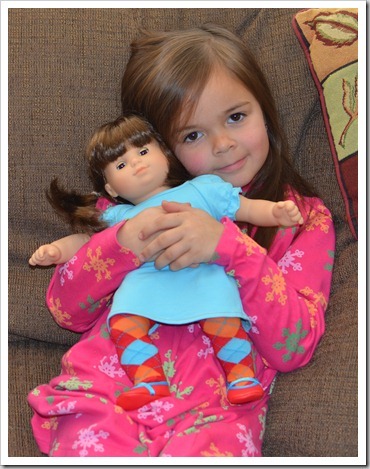 I am not real familiar with American Girl products, but this post definitely has caught my attention. These dolls are so adorable and I love that with all the options you can basically create your own doll. Thank you for the great review! super cute! i love that they are smaller…perfect for my little one! I would love to win this for my Grand daughter . 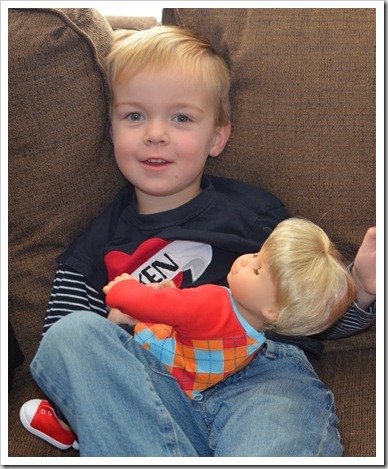 My little two year old boy was playing with my daughter’s American Girl doll and saying he needs one! I love that they make a little boy twin, I might have to think very seriously about this for his birthday coming up in a few months! Wow. They do look just like your kids. So cute!